"Don't be afraid, the house is afire." The first words spoken by my grandmother, Jessie Trevorrow, when she realized the danger the whole family was in. Fire is told from the point of view of 8-year-old Patty, my mother, and tells the story of that cold May night in East Dover, almost 60 years ago, and the changes that came from it. Illustrated with family photos. "A plain, well-told tale...imaginatively captures the facts and fears of being in a fire...The enduring truth is that life goes on. "What happens next? Does everything end?" Haas writes. "No." A lesson for us all." New York Times. I frequently use the first chapter of Fire! in school visits, to illustrate and discuss principles of building suspense in writing. It is read annually to kids in at least two volunteer fire departments, and is a reliable boy book, easy-to-read and suspenseful. Westminster was a New York town in 1775 when the Continental Congress voted to boycott British goods. New York was the only colony to abstain. People in what is now Vermont disagreed with that choice, and to make their opinion clear, on March 13 they occupied the county court house in Westminster. They were promised a peaceful discussion and resolution, but late that night Sheriff Billy Patterson attacked the court house and fired on the unarmed defenders. Two were fatally wounded, many were imprisoned, and the rest fled. By the following day, 400 well-armed militia were in the streets of this tiny frontier town. They retook the court house without violence and overthrew New York government in what is now southern Vermont. New York and the British were gathering money and arms to restore 'order' when the battles of Lexington and Concord intervened. Suddenly the colonies were united against Britain, but many Vermonters were clear that they would never be part of New York again...and they never were. Westminster was first chartered by the Massachusetts Bay Colony (as New Taunton), then by New Hampshire (twice), then by New York. Vermont first declared its independence from New York in Westminster (not Windham, as many history books and the town of Windham will tell you.) The state's first paper currency was printed there, and later that day the first counterfeiting case was initiated. Famous for years for the Westminster Massacre, Westminster has been the site of some innovative farming, sent many men to all America's wars (including many town citizens who turned back Pickett's Charge at Gettysburg), sent one of Vermont's first pair of senators to Washington, provided two Congressmen, and most recently sent its first citizen, Peter Shumlin, to the Vermont governor's office. A Westminster man pioneered dental anesthesia, and another served on the Sanitary Commission during the Civil War. Westminster's Willard family owned the famous Willard Hotel in Washington DC, and one of the Willards married a famous Confederate spy. In the modern day Westminster is known for organic farming, award-winning sheeps' milk cheese, one of the earliest internet servers in the state, and for the beautiful Kurn Hattin Home, which provides a home and excellent education to many underpriveledged children. It was a great honor to be asked to write the history of my town, and it was a great education as well. 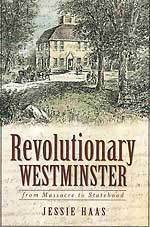 The book is available from the Westminster Historical Society, the Butterfield Library in Westminster, or at the Westminster Town Hall. So if you have something you need written, ask me. In the past I've done series fiction, local history, text for educational pamphlets, and corporate blogging. Rates vary depending on the project. 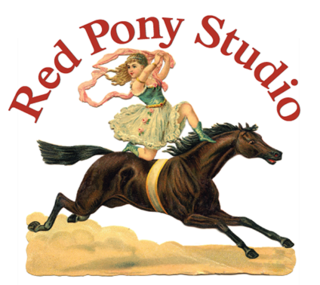 For design, content, brokering of print projects, or animal portraits, go to Red Pony Studio. It's operated by my sister, Martha Haas. We can work together to make your project come together.